Jane is a managing partner at Cru where she focuses her efforts on day-to-day operations, special events and personnel. The former general manager and director of operations for a trio of nationally recognized Nantucket restaurants: the Boarding House, The Pearl and Corazon del Mar, Jane brings a wealth of experience in restaurant operations to Cru. 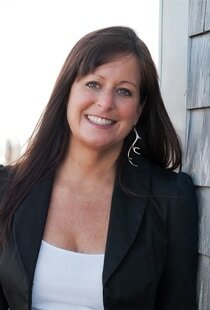 Prior to her roles in the restaurant industry, Jane was the Juice Guys Care Director/Island Liaison for Nantucket Nectars and served as Development Director of the Nantucket Boys & Girls Club. Her commitment to the restaurant industry began with her first jobs as a young teenager. With over a decade of event planning experience, Jane brings a depth of knowledge to Cru. She has always been passionate about food and wine and is organically drawn to the restaurant business. Jane first visited Nantucket nine years ago and was lucky enough to meet long-time island philanthropist Grace Grossman, who introduced her to the charms of the island. Nantucket became a year-round home instantly. She has a deep love of the ocean and the outdoors and can often be found swimming in the island's shallow waters, enjoying the gorgeous beaches with friends or running on its extensive nature trails. In the off season, Jane spends as much time as possible traveling around the globe learning and experiencing everything available about food and wine. Recent trips include Spain, France, Morocco, Argentina, Mexico, Puerto Rico, the Caribbean and the U.S. Virgin Islands. Jane is also an avid New England Patriots fan and can be found cheering the team on during football season. Jane earned a Bachelor's of Arts degree from the University of Richmond.